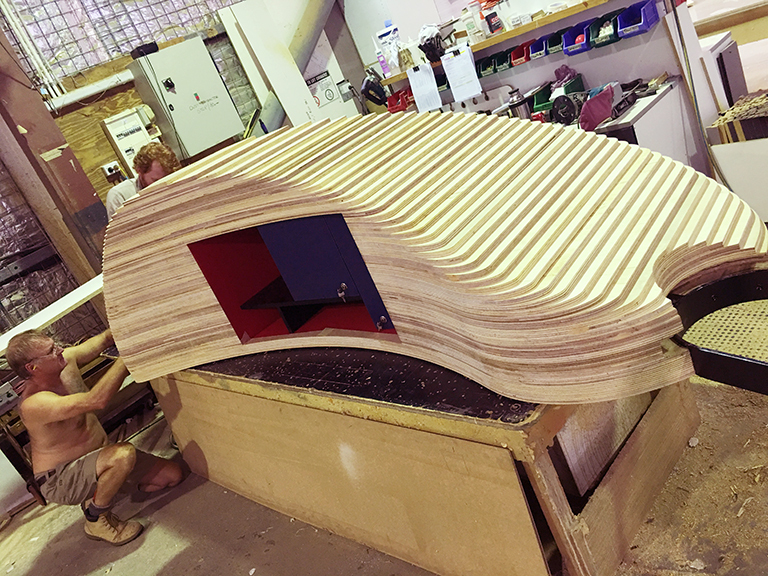 Comprising 60 stacked layers of plywood, this desk takes inspiration from musical bass clefs, floor drums and Fender guitars. The Tanks Arts Centre Ticket Desk pivots around an oil-stained tree-trunk column inside an ex-WWII fuel storage tank, now performance space, at the heritage-listed Tanks Arts Centre. 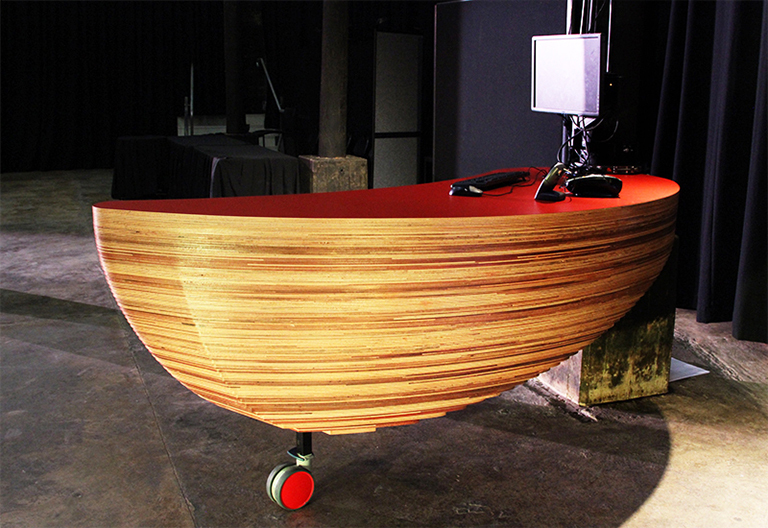 The desk is a curvilinear, layered plywood construction. It comprises a total of 60 stacked layers of 15mm ‘BB/CC’ grade plywood. 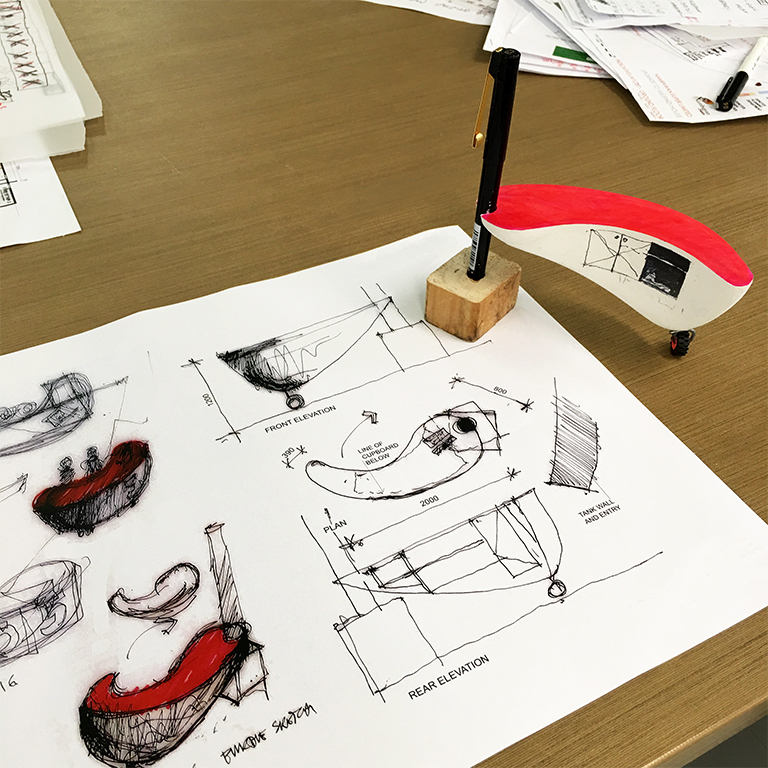 The form was initially driven through clay sculpting, then modeled digitally. 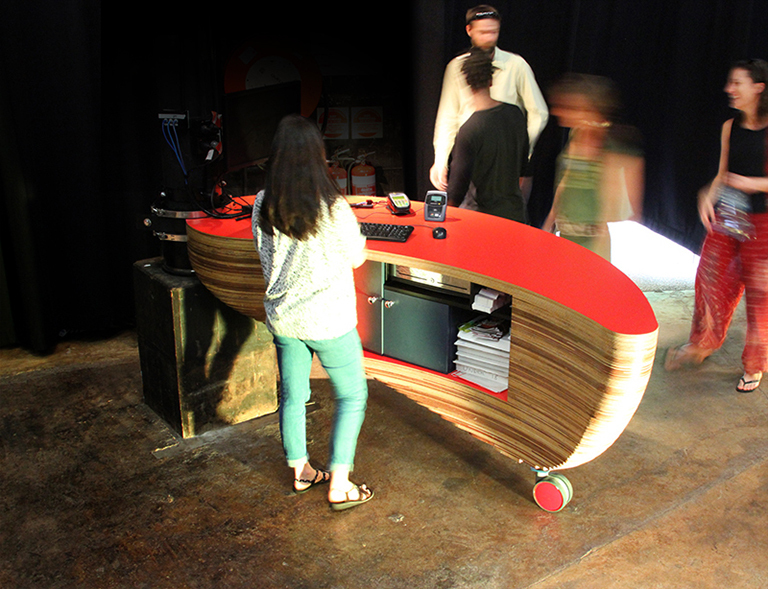 In keeping with the rock and roll energy of the Tanks Music Venue, the desk’s curves were inspired by musical bass clefs, floor drums and Fender guitars. 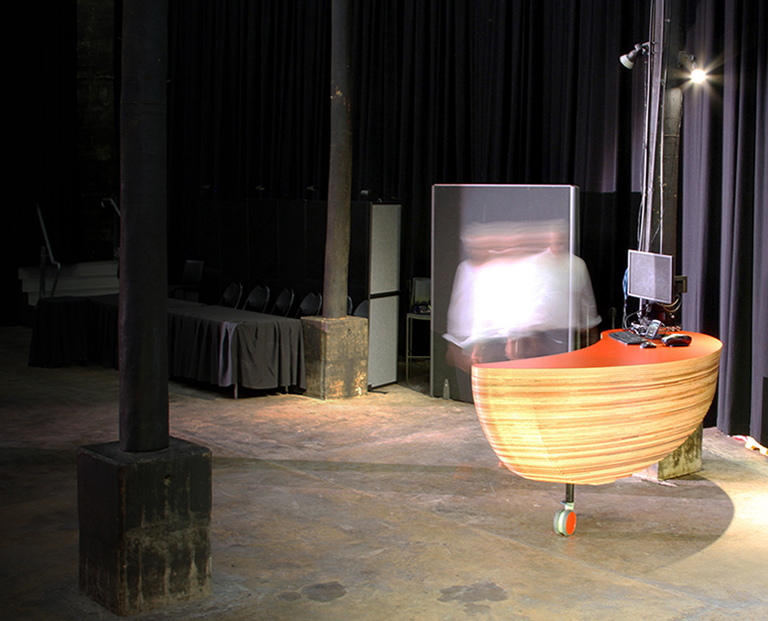 Plywood was a natural choice for bringing the digital model to life. It was cost effective, easy to CNC mill and available in large sheets. 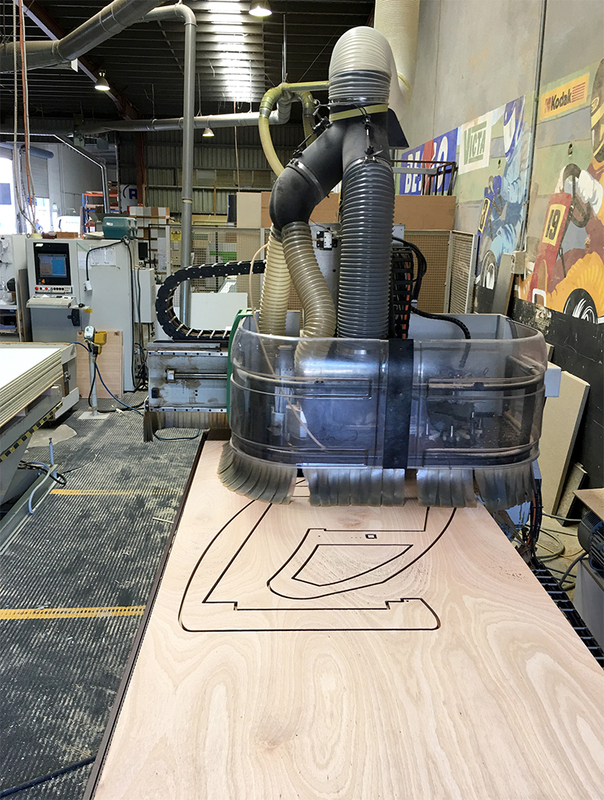 By providing the cabinet maker with the CNC tool path shape for each plywood layer we were able to take a complex sculptural form and fabricate it in a relatively low-fi way. 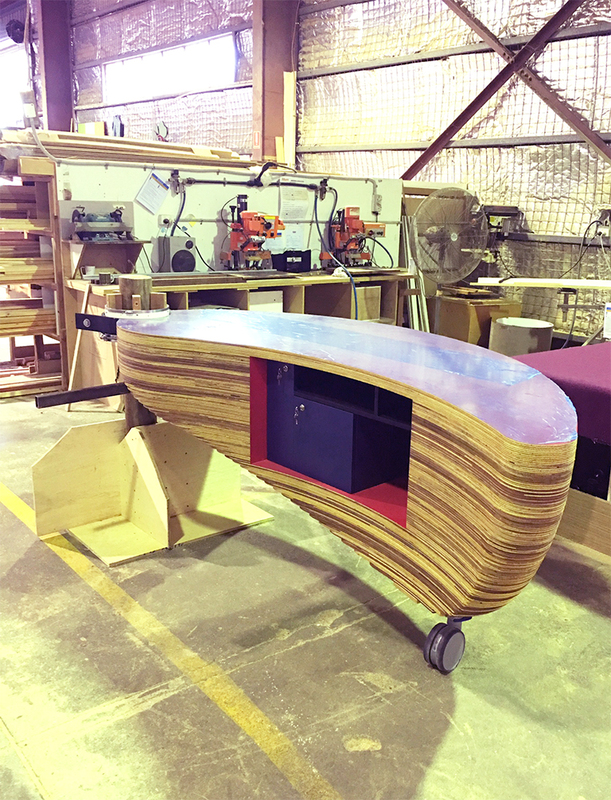 The desk top and drawers were finished with laminate in pops of berry red and Quandong blue drawn from the Tanks rainforest setting. The edges of the plywood layers were sealed with a clear coating to give a striped finish that tells this story of transition from tactile project to digital model and then construction.